Kalkhoff, founded in 1918, have been producing bicycles in Germany at their Cloppenburg facility ever since, only halting production briefly with the outbreak of World War II. While we haven’t been selling E-Bikes here at Rutland Cycling quite as long as that, we’ve been fans of electric bikes since the very first models entered the market in the 1990s, and so it made sense for us to pick up the revered German brand who continue to deliver new electric bikes with the same technology and passion as us! 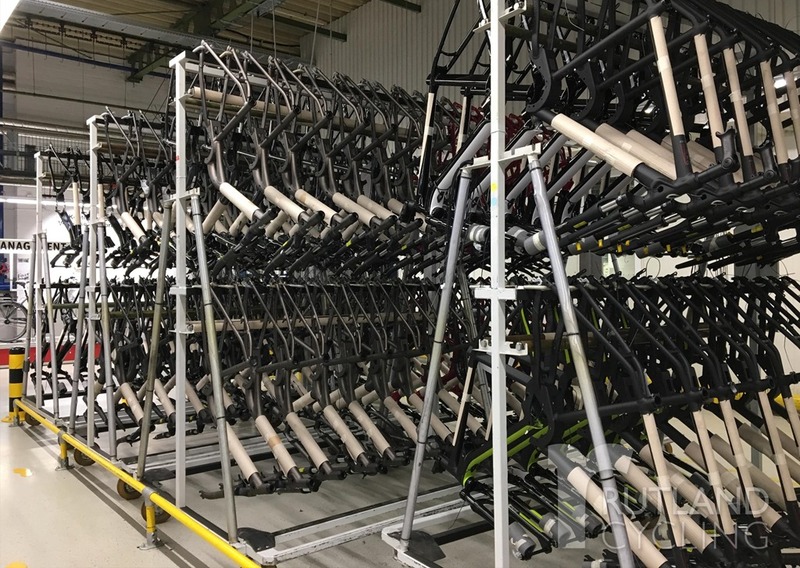 With the launch of Kalkhoff’s 2018 range, we headed to Germany to take a behind the scenes look inside their production facility. Ever wondered how your bike is built? Time to find out! The first thing that strikes you about the factory itself is its sheer size – owned by P.O.N. Holdings, Kalkhoff bikes are manufactured by Derby Cycle, the largest bicycle manufacturer in Germany and one of the largest in the world. Kalkhoff aren’t the only bikes that come out of the factory doors here – inside you’ll also find bikes from familiar brands like Focus, Cervelo and Raleigh. 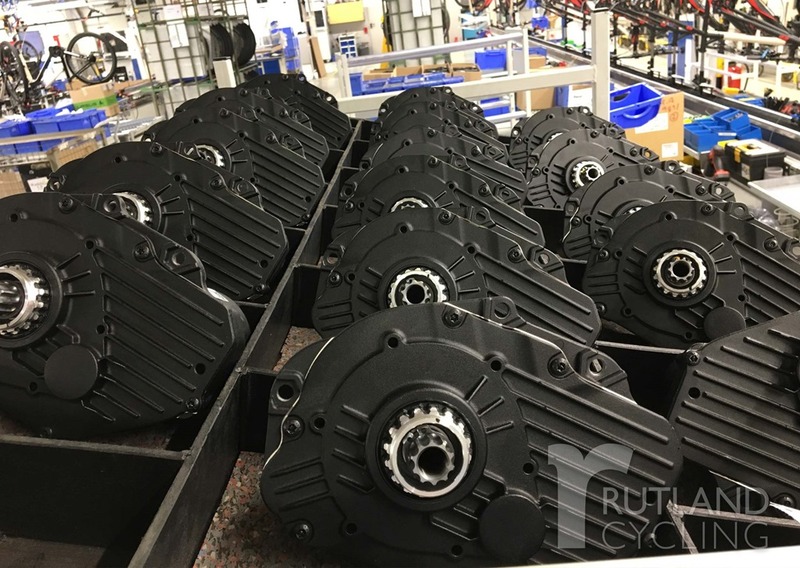 Inside, there are ten production lines in operation with eight of those dedicated to producing e-bikes, indicating not only the huge growth in the electric bike market in the last few years, but also the commitment to the sector in the future. In total, somewhere between 400,000 and 450,000 bikes are produced here every year by 400 production staff, with a further 450 staff in other roles in the facility. 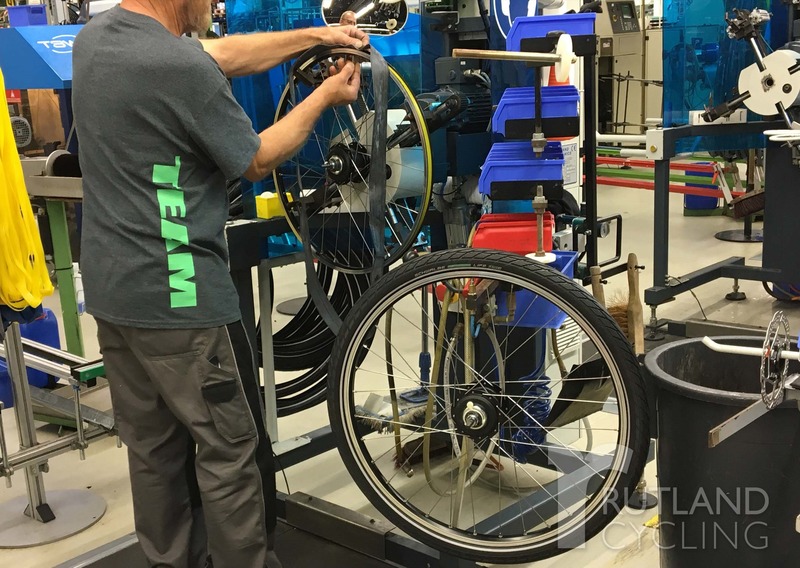 Each bike spends around four to five minutes on each work station on the assembly line – being painted, having decals carefully applied, or having parts affixed – with a complete electric bike transitioning from an unfinished frame and box of parts to a finished, built, and ready to ride bike in around 40 minutes. With such a huge output of bikes, equally vacuous storage is required to house products before they take off around the world to distributors and dealers (and into your nearest Rutland Cycling E-Bike Centre). Close to the production facility, you’ll find a cavernous storage facility which is capable of holding 150,000 bikes at any one time. This is topped up by forty truckloads of bikes which are moved from production to storage every single day. Besides the vast scale of operations, the other defining feature of the Kalkhoff production facility is the unwavering commitment to the highest levels of quality. 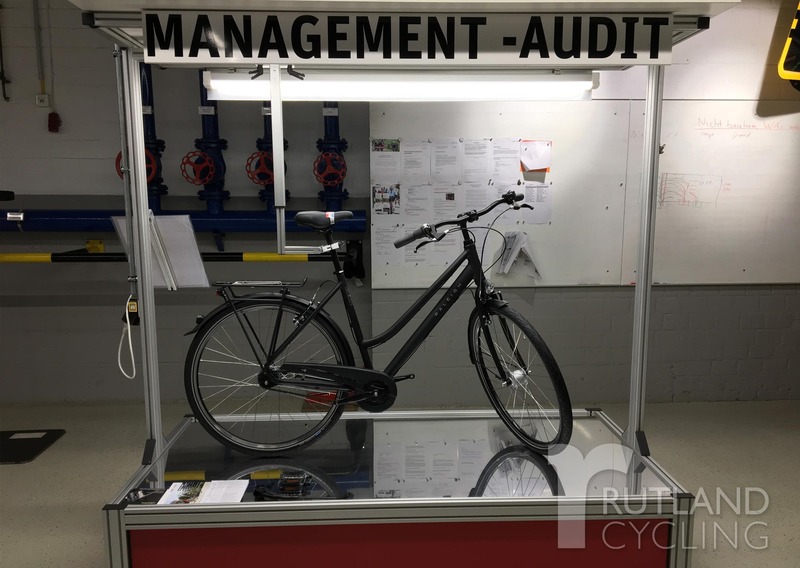 In fact, so confident are Kalkhoff in the quality of their product that they offer a 10-year warranty on all their e-bike frames, and have extended the warranty on their Impulse motors and batteries to 3 years. With one of the largest and most advanced test centres in Europe, Kalkoff have three engineers who oversee this linchpin of production, with a further four dedicated Quality Control staff on the production line all day, every day. Over a thousand parts are tested each year including frames, forks, seatposts, handlebars, stems, pannier racks, wheels, brakes, pedals, crack and so on, with reference to the DIN standard PLUS, alongside their even tougher in-house load testing standards. This level of testing is incredibly high – testing runs 355 days a year, 24 hours a day, with 800 bikes tested to destruction each year between the German facility and a Taiwanese plant. Two days of testing in the Kalkhoff factory equates to the same wear and tear as around ten years of regular riding. This commitment to quality is imbued in all the staff at Kalkhoff, with all performance bonuses based 50% on the quality of work, 35% on the quantity of work, and 15% on the cleanliness of their work station. In addition to all of this other testing, every day production managers will pick a bike at random from the production line and inspect it to within an inch of its life to ensure it’s up to scratch. Get expert advice and test out the latest E-Bike technology at our E-Bike Centres at Whitwell, Cambridge, Grafham and Peterborough.